Is it a known bug or something I have missed? The typeface/fonts comes from Berthold website (bought there) so not likely to be corrupted. Next to the font name on the top change it to regular and you will see all types of it (your current setting is Medium). Thanks, but the problem is still the same, it shows twice medium and no "regular"
Have you tried reinstalling this font? I doubt that reinstalling the font would help. Similar problems have arisen with other fonts. The Font Family and Font Subfamily name fields are filled-in so I would expect the font to work properly in Windows. But the Typographic Family and Typographic Subfamily are NOT filled-in. These are the name fields typically used in more advanced applications like APublisher and InDesign, etc. My guess is that there is some missing or conflicting info in the naming font fields given that it does not work properly in Windows. As I said above, this font should work properly in Windows. One way to test for name field conflicts is to install the font alone. If it works properly alone then one of the other fonts in the family is causing a conflict which is confusing APub, Word, etc. If you can please attach all the fonts so I can take a look inside the files to look for issues. Note: I have the Pro version of these fonts, also from 2007, and they all work fine. They do have complete Typographic Family and Typographic Subfamily fields. So they work in Windows apps and in advanced apps. If you go to your Account Settings page and click on the ‘Notification Settings’ link, you can switch on either or both of the ‘Automatically follow content’ options. But the Typographic Family and Typographic Subfamily are NOT filled-in. These are the name fields typically used in more advanced applications like APublisher ﻿and InDesign, etc. In my experience the Typographic Family and Typographic Subfamily fields are often not filled in, but I believe such fonts should still work properly in Windows. Yes, especially in older fonts marketed towards Windows users. The Font Family and Font Subfamily should be enough. But you will also find some weird stuff in Font Subfamily in some older fonts. To work properly in Windows apps it should only contain Regular, Italic, Bold, and Bold Italic. Some fonts put things like "Medium" in there which should not be there and confuses apps. "Medium" should only be in Typographic Subfamily. I have been testing font families in LibreOffice to see see what works, what does not work, and why. Well over a hundred font families tested so far. Both FOSS fonts and commercial fonts. And I have found all kinds of weird stuff. I have been very surprised at how many fonts have defects (usually easily fixable defects). but many of the problems are caused the fonts themselves. This issue sounds like it could be of those problems found in the fonts. I am in a flurry of work right now so can't really answer to everybody, but here is the typeface - 3 fonts I have. I examined the font files - and it was as I suspected. The Medium font has Medium in the Font Subfamily, and the Font Family is Akzidenz-Grotesk BQ. To work properly in older Windows apps like Word the medium font should be a separate Font Family . This is why the fonts do not work properly in Word. the missing Typographic Family and Subfamily. I will PM you a link to some properly structured fonts for testing. Older software, like old versions of Word (at least back to the 2008 version as far as I remember (I use 2010), will automatically separate the Medium out. So I would recommend just the renaming as more modern applications will accept--which is to keep them in a single family with proper style linking. So in the screen shot below, I have altered the OP's Akzidenz-Grotesk BQ to do just this. Hitting Bold with either the Regular or Medium in use will appropriately change the style to the bold variant. Cursor is in the Medium and they are listed properly. Though I do not like posting (reposting) commercial fonts, I have attached a ZIP of the altered fonts which I will remove likely tomorrow morning when I awake. But Moderators...please feel free to remove them earlier should the OP indicate they have downloaded the modified versions. Well that is a partial fix that works in APublisher probably because you filled-in the Typographic Family and Typographic Subfamily on the Medium font. Changing the Font Family for medium to Akzidenz-Grotesk BQ Medium will help older Windows apps. 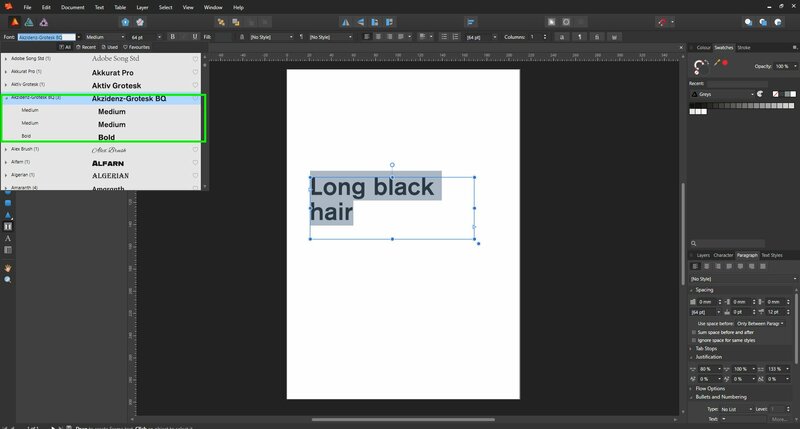 Even though leaving Font Subfamily set to Medium is simply wrong, it will likely work because it is the only font in that new medium family and many applications will assume it is the regular font. - Font Family and Font Subfamily should be filled-in properly to support older applications which only support the limited R/I/B/BI fonts. This partial fix is a band-aid that may or may not work in other applications. Yep. Looks like I got in a hurry. The Med. now has Regular for the sub family. Original zip is replaced. As a side note, all applications I have installed break the medium out properly. That's going as far back as a 1996 application (the oldest I have installed). But the main issue is that if there was a medium italic it would not have been style linked--assuming the med. italic was also fixed else it too would be listed wrong, if at all. One of the problems I have seen in many font families is they are only designed to work properly on the original platform they were created on - the particular OS. Many font families are originally created on a Mac and quite often are simply broken on Windows and Linux because the designer either doesn't know any better, or simply doesn't care. I have edited (fixed) many FOSS font families to work properly on LibreOffice on Windows. Actually it is easier to get fully working font families in LibreOffice on Windows than it is in LibreOffice on Mac or Linux due to problems in the underlying libraries used on those platforms. For example an updated Open Sans family does not work properly in LibreOffice (or Word) on Windows. The required naming conventions to work properly cross-platform are simply missing. So I created the Opens Sans LO font family which works perfectly in LibreOffice on Windows. And it still works properly in modern applications like APublisher, InDesign, Quark, etc. This is not difficult, it simply requires some best-practices. FontLab makes this very easy. So does TransType. It is nearly automatic. 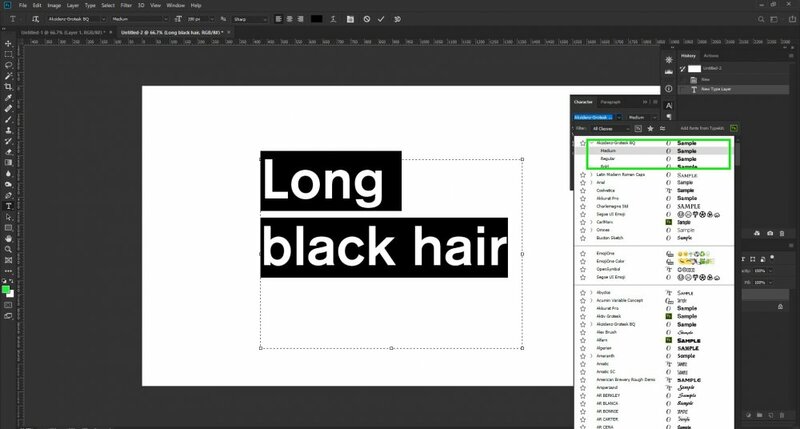 FontCreator is a little more manual, but all the tools are there. 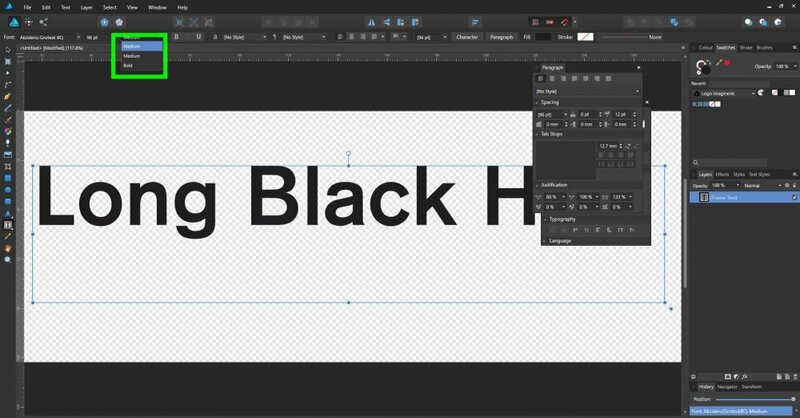 FontForge may have all the tools. Dunno. The interface is so bad I stopped trying to use it. I do not use Glyphs, but the documentation appears to show the tools are there. They all use different terminology for the same fields (I used the FontCreator terminology above). You mentioned "style-linked" which is what Glyphs uses (and I assume FontForge). The goal is the same - cross-platform support in both older and modern applications. Tweaking one or two name fields with a three-font family may enable it to work on one OS or in one application, but to work properly cross-platform and in older and modern Windows requires properly filling-in all the correct naming fields not simply tweaking a few to get it to work today on this application on this OS. Glad to see you fixed the Medium font, but the other two should also be fixed for consistent cross-platform support. That is what I meant about being fixed "properly." So please accept my apologies if that seemed a bit harsh. Sorry if I come back a bit late, as I had some time working on site (I usually work at home) and disconnected from all my side activities for a while. I got a fix thanks to @LibreTraining, and I am very grateful for this. I am yet to take that long overdue course on typeface creation that I promised myself since last century. I wish to thank first and apologise to @MikeW for I absolutely missed your answer and didn't download the .zip file attached. I, too, am reluctant to share commercial typefaces/fonts (even if I benefited from sharing in this instance). Here, it came from a client and it has been provided to them by another designer, and at some point it pretty useless trying to explain that the typeface is wrong to a layperson (the client) without looking like you're trying to put the blame on someone else . Besides I can't afford to buy on set myself from Berthold for this kind of project. Thanks to all that took the time to help me! I also have a font problem and a set of customer´s fonts (Interstate Bold, Bold Condensed, Black, Light and Regular). In APub I can only see Light, Light, Light and Bold Condensed, Bold Condensed. Is there going to be a fix from Affinity or should I do something to these not-working-properly-fonts? I'm working with Win 7. Some of the Interstate font collections floating around out there are a real mess inside the files. Some are older TTF fonts. Some are OTF-TT fonts. Some are converted Type1 fonts. All of them I have looked at have severe naming issues. Even the newer Font Bureau versions I have looked at are just a mess. Be happy to look at yours and tell you why they are not working. Send me a PM with a link. Can probably fix them for you. Like I said I have versions that are TTF, OTF, T1, names Interstate, InterstatePlus, GLInterstate, etc. All pretty much a mess by modern standards. FOSS alternatives: Overpass, Route 159 - have tested both families in LibreOffice (LO). Both have minor name issues which affect LO on Windows, but should work properly in APub. The fonts were as suspected quite a mess in the naming metadata. Missing name fields, wrong name field settings, wrong weight settings, wrong width settings. Fixed fonts work properly in APub in my tests. So the issues do not appear to be an APub issue. For what it's worth, I use Alegraya Sans a lot, and I have no fewer than 14 types available including: Thin, Thin Italic, Light, Light Italic, Regular, Italic, Medium, Medium Italic, Bold, Bold Italic, Extra Bold, Extra Bold Italic, Black, and Black Italic. All these show up on the drop down and text appears correctly in APub. In LibreOffice, they appear as different fonts. They show up as separate fonts in PagePlus X9 as well. As I recall, Adobe InDesign showed them the same as in APub. For what it’s worth, all 14 styles of Alegreya Sans show up in the dropdown list and appear correctly in the iPad versions of both AD and APh. This is because LibreOffice on Windows is using the old Styling Groups like it is done in Word. This is the typical Regular/Italics/Bold/BoldItalics (R/I/B/BI) groups used in older applications. More modern applications like APub, InDesign, QuarkXPress, etc. use the Typographical Family and Sub-Family. More modern font families have entered the name metadata in the fonts to properly handle both ways. Alegreya Sans is constructed to work properly in both older and newer modern applications. In LibreOffice on Windows there is a styling group for the Regular font. So you select the regular font from the font list, and then apply the Italic and Bold buttons to get the other fonts. So the Regular Italic, Bold, and BoldItalic fonts do not appear in the main font list. They do appear in the Character font list which is similar to Typographical Family. Note that this works differently in LibreOffice on Linux or Mac. They have their own issues. Below is a printed image of my Alegreya Sans tests on LibreOffice on Windows. It looks good. Some other font families do not.